A glazier for 21 years I offer a full 24 hour glass replacement service from large shop fronts to a tiny broken pane in your sash window. I can promise you that any work I carry out for you will be done to the highest possible standard as I really am a perfectionist. Howard Burcombe. 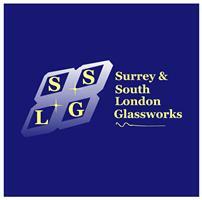 Covering South and West London and Surrey borders. South London, Wimbledon, Putney, Wandsworth, Richmond, Barnes, Tooting, Streatham, Surbiton, Kingston upon Thames.